Timbeter released the QR code detection functionality more than a year ago. 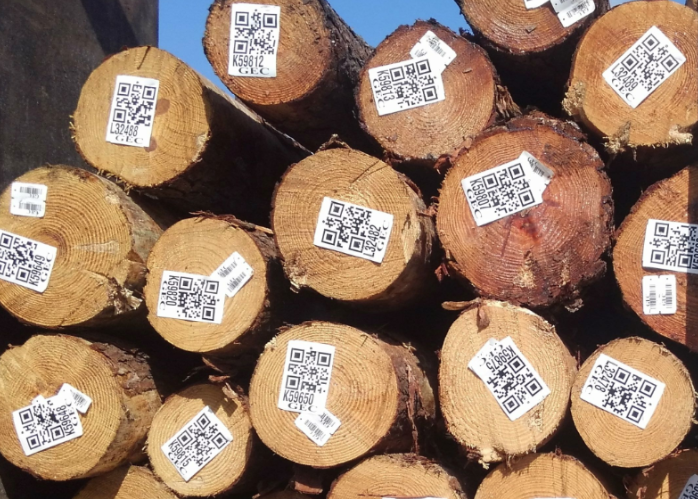 Thanks to this, companies didn’t need to measure the log diameters manually and read the QR codes separately, as everything was simply done via one picture with the help of Timbeter. The functionality detects the log diameters (log count, diameters, volume) and reads the information from the QR codes, linking these two together. The whole process takes less than 3 minutes. Now, there’s a an update: QR codes can also be used as the reference. This means that there is no need to place a reference stick to the pile as now Timbeter uses the QR codes themselves as the reference. This feature is beneficial in many ways. Firstly, it eliminates the need for a reference stick and speeds up the measurement process even more. Secondly, it helps to solve the situations where the pile is not neatly stacked and the distance between the log ends and the camera varies significantly. The QR codes help to even out the possible distortion and therefore the result will be very accurate. As always, all the required data is in digital form and can be easily shared or used for further steps. The functionality is available both in Timbeter and Timbeter Container solutions. Timbeter also provides the QR codes. So if you are interested in trying out our new functionality, contact our team here.